We assist families who deal with the challenges of caring for medically fragile children who have complex medical care needs. Our goal is to help them come home to a familiar and nurturing environment. Our dedicated and skilled nursing team is committed to providing exceptional, cost effective, family focused care for your loved one. Mission Medstaff is available 24 hours a day, seven days a week to ensure the highest level of client care. As a leading home health provider, we work hard to deliver specialized and highly skilled care and support services to children and their families. Mission Medstaff works with major medical centers to successfully integrate community-based care and ease of access to care for children. 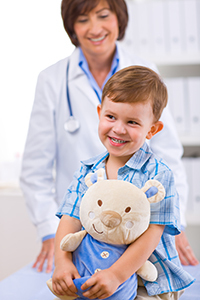 Our home care agency takes into account the intricacies that are involved in pediatric home care. Mission Medstaff, a home care agency, thanks you for joining our team and entrusting us to help your child be more comfortable and to achieve a higher quality of life. Contact us to learn more about our pediatric home care and how that would look for your family and household situation. We are looking forward to meeting you.